Zybez RuneScape Community was shut down on September 17th, 2018. You're viewing an archive of this page from 2018-12-04 at 21:54. Thank you all for your support! Please get in touch via the Curse help desk if you need any support using this archive. All rounds were 50 people vs 50 people. We lost the first round 24-25 (the only round I was calling.. ) then won 3 rounds in a row. Ty for carrying!!!!! 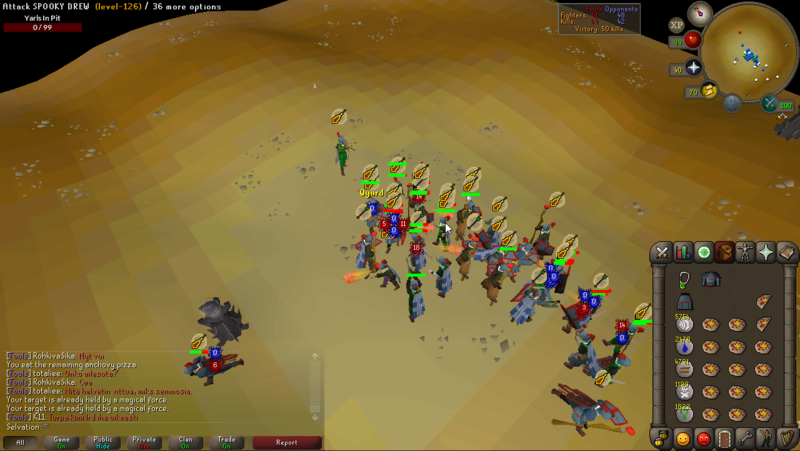 Again, thanks for another competitive fight Rot. Edited by EoMeri, 05 November 2015 - 5:55 PM. 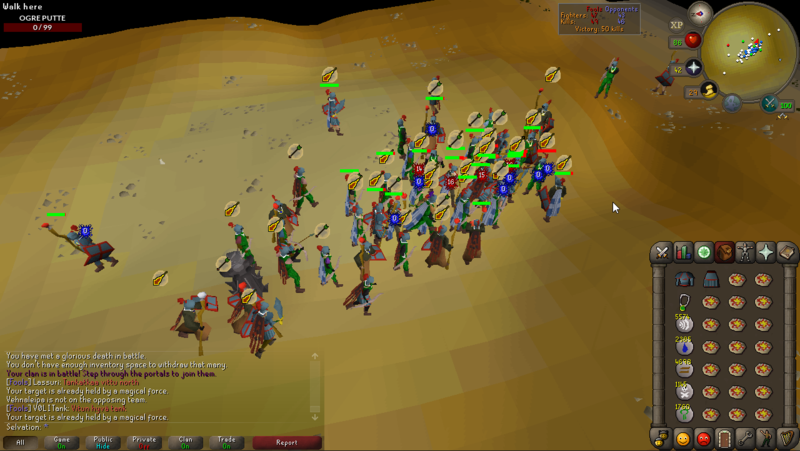 Thanks for the fight, RoT. Was intense. Edited by Anspi, 05 November 2015 - 5:42 PM. Thx for the fight ! Lose one fight for false hope and then sweep em. I like your style Fools. 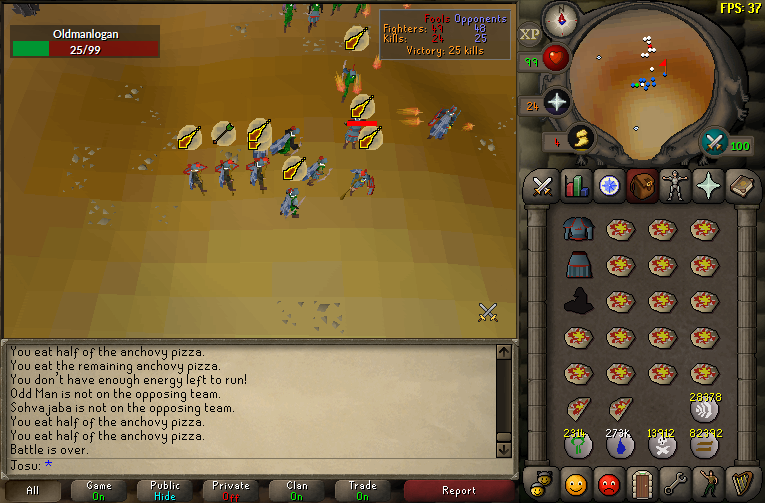 Thanks for the rounds Rot, were not easy. 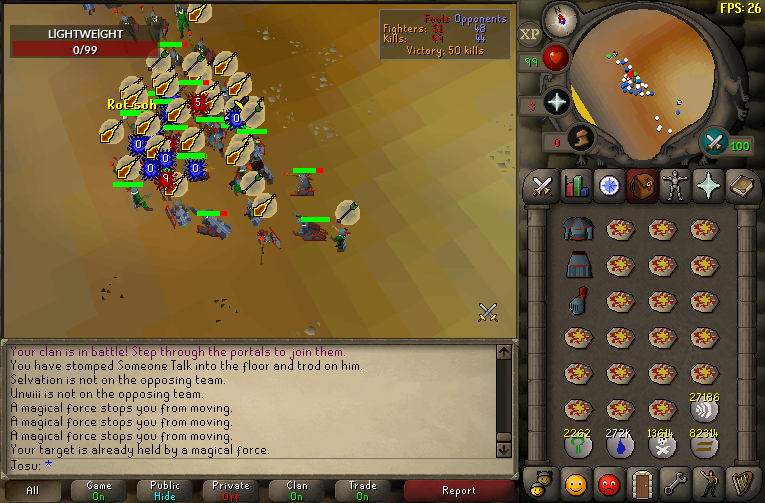 Thanks for the intense fight RoT. Edited by Nates_pro, 05 November 2015 - 5:10 PM. Felt like a walk in the park. Maybe next time.